From new Tiki bars to the old guard of craft breweries, San Diego is a lush’s playground. However, imbibing quality quaffs would be impossible without the ridiculously innovative troops slingin’ spirits from behind the bar. Between utilizing local seasonal ingredients and continuously raising the standard of creativity, San Diego’s bartenders are the ones putting America’s Finest City on the drinks map. Even with new watering holes opening seemingly on every corner (especially in Mid-City), there are a few trailblazers across the county elevating craft cocktails from generic gin & tonics to masterpieces of mixology. We’re honored to profile a trio of tippling trendsetters. After a fortuitous start amidst the taxidermied kitsch of Craft & Commerce, Leigh Lacap quickly ran through residencies at a slew of distinguished local drinking holes like Noble Experiment, Sycamore Den, Coin-Op Game Room, and Ironside Fish & Oyster, training under cocktail superstars like Christian Siglin, Eric Johnson, and Anthony Schmidt. 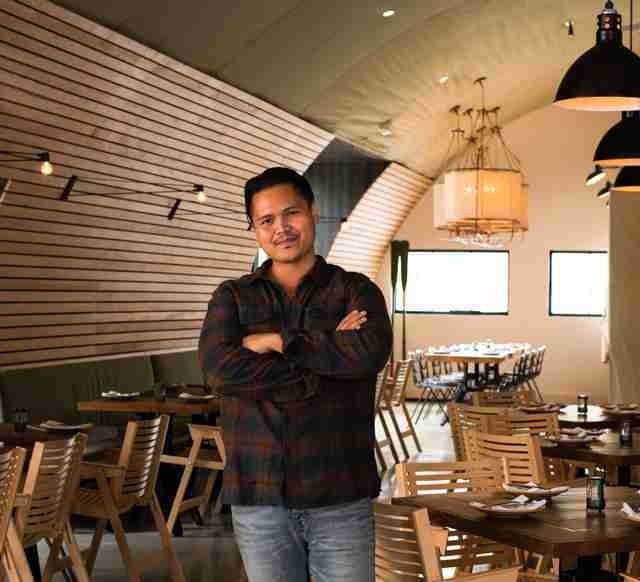 Now, he’s shaking things up at the newly opened Campfire in Carlsbad, which isn’t exactly the Promised Land when it comes to truly high-quality beverage programs. (One town over is home to a real-life vodka bar. ‘Nuff said.) That stands to change with Lacap at the helm of Campfire’s bar. Between his growler cocktails like the Grizzly Folk -- bourbon, mulled cider, tamarind syrup, and lemon -- and the very nearly famous “from the fire” selections like the Charred Corn -- tequila, charcoal, lime, and salt, a drink he concocted with some help from Campfire’s chefs and a Big Green Egg -- North County is poised to compete with Downtown/Mid-City’s stronghold in quality libations... if not quantity. Lacap’s emphasis on collaboration between the bar and the kitchen is a refreshing approach that’s being embraced by cocktail connoisseurs and gourmands alike. By complementing familiar flavors with unexpected prep techniques, Campfire’s interconnected drink and dinner menus are already causing quite a buzz around town. His advice to fellow booze-driven visionaries? “Love your chef and back-of-house crew. They are the cocktail Aladdin to your Princess Jasmine -- a whole new world,” says Lacap. Hidden cleverly behind a strategically disguised (albeit somewhat weirdly located) wall of kegs next to the bathrooms at Neighborhood is San Diego’s worst-kept secret: Noble Experiment. What it now lacks in mystery it more than makes up for with an expertly curated selection of cocktails (including the ever-present Dealer’s Choice), each painstakingly crafted in true speakeasy style. Be prepared to wait for your order; even during a slow night, each handmade cocktail can take up to 15 minutes. 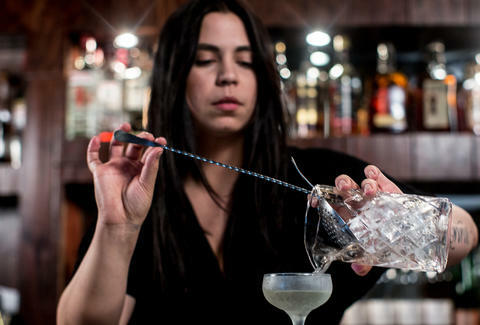 But when your drink is in the hands of Adele Stratton, it’s worth the wait. 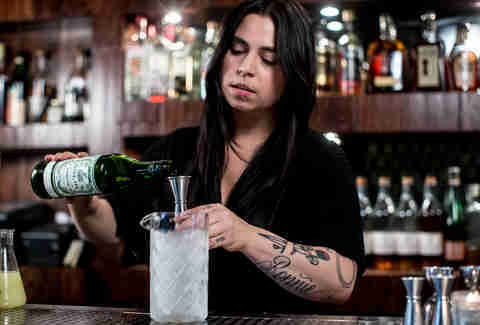 After getting her start at The Pearl Hotel in Point Loma and rotating through a handful of CH establishments like Rare Form, Fairweather, and Craft & Commerce, Stratton landed at Noble Experiment, which she describes as “the bar that made me want to be a bartender.” Under the tutelage of Anthony Schmidt, Trevor Easter, and Ryan Walsh, she’s quickly risen through the ranks as one of the premier mixologists and creative drink slingers in the city. Future plans include helping launch Noble Experiment’s new bar-within-a-bar-within-a-bar -- another back room already under construction. Set to open within the next year, the unnamed project will focus on more avant garde, European-style cocktails, unlike the fundamentals often found on Noble’s menu. “It’s going to push the limits,” promises Stratton. The only rule at KINDRED is there are no rules. Ryffe’s irreverently offbeat approach to mixology perfectly aligns with the devastatingly hip aesthetic at KINDRED, so it’s a bit of a surprise to discover his Midwestern roots. His self-proclaimed “odd upbringing” in the cocktail world started when he worked the door at a Kansas City, Missouri dive bar, eventually stepping in to barback, bartend, and ultimately manage in a mere six weeks. Once Ryffe got a taste of the potential, he accepted the challenge and never looked back. 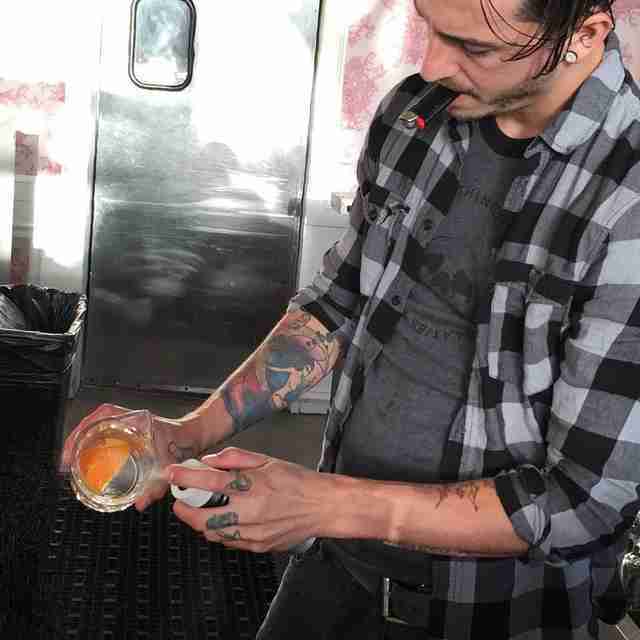 “[I] decided that if I was going to bartend, I was going to do it right. So I started geeking out about cocktails and reading endless articles… [I] started slow, dumb, and excited, but gradually cut my teeth and started making cocktails that made sense,” explains Ryffe. Nowadays, he’s just happy to respond to an elevation in clientele’s expectations. “Guests have really taken a liking to better cocktails, better food, better service… They are now seeking out the truly extraordinary. Craft cocktails are no longer scary to your average Joe.” Along with this shift, paired with drinkers’ improving palates, there's also the (welcome) added challenge of catering to a vegan crowd. "Not being able to use egg whites, honey, and fat wash does twinge my cocktail process a bit, but it's also forced creativity that otherwise would not have been there.” It’s easy to see why Ryffe's new cocktail creations like the Tiki-influenced Missile Lock, the smoky/spicy Shadow Hand, and basil/red-bell-pepper-infused Garden of Madness are being met with enthusiasm by both vegans and omnivores. Coming up, it’s safe to expect zanier things coming from Ryffe and the KINDRED team.